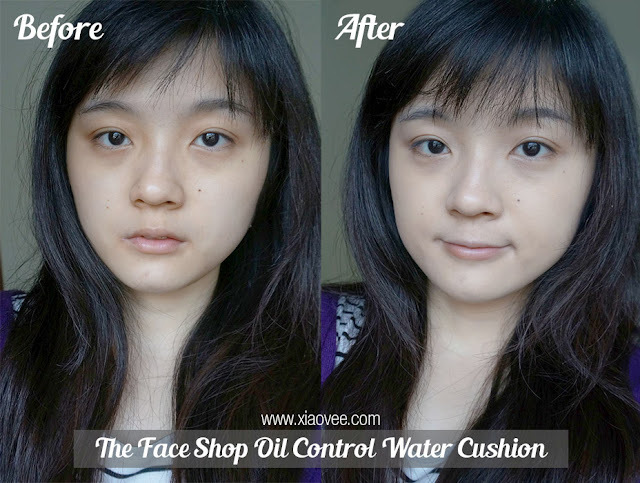 I tried it for around 2 weeks and I'm ready to share my honest opinion about this cushion! 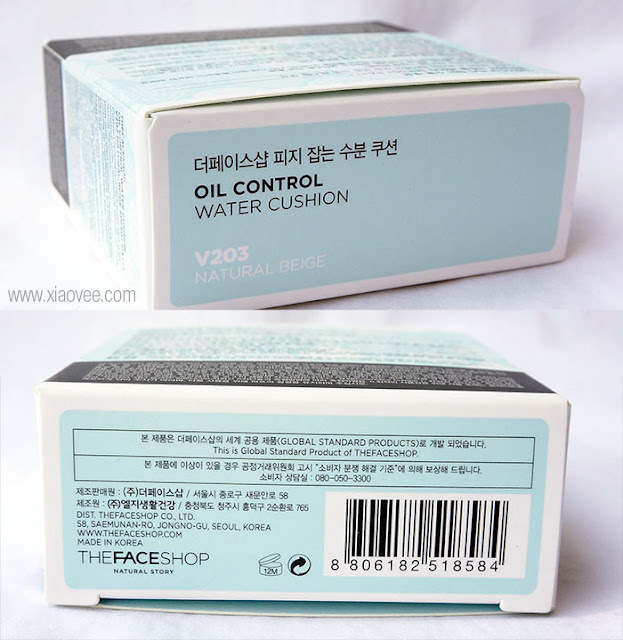 The Face Shop Oil Control Water Cushion comes in cute design and pastel blue patterns. 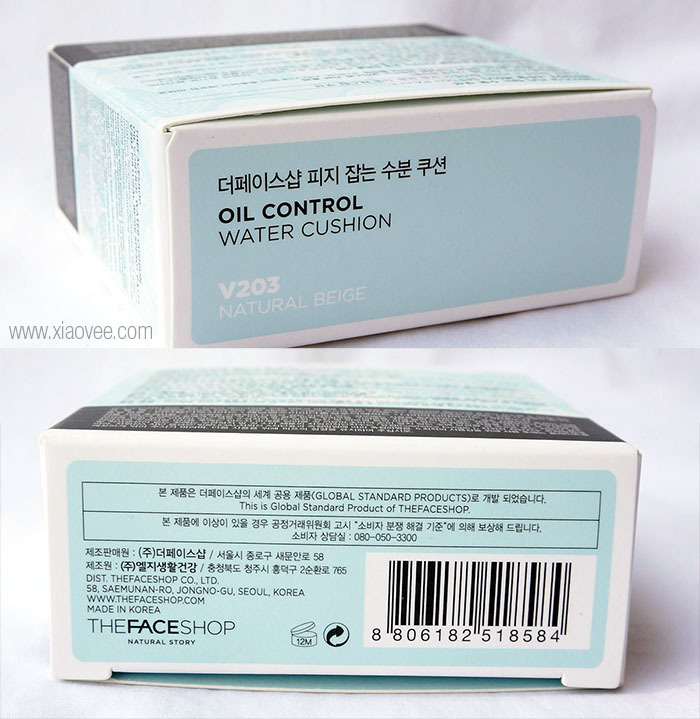 Meanwhile, the cushion case itself is dominated with white color. I think the packaging is quite elegant and looks great in makeup pouch or vanity table. 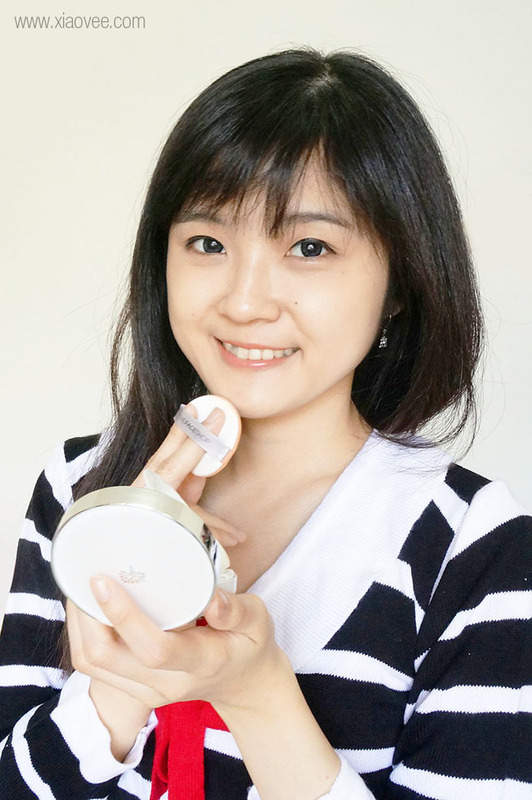 Cushion foundation recharges skin with moisture while controlling sebum for long lasting freshness. 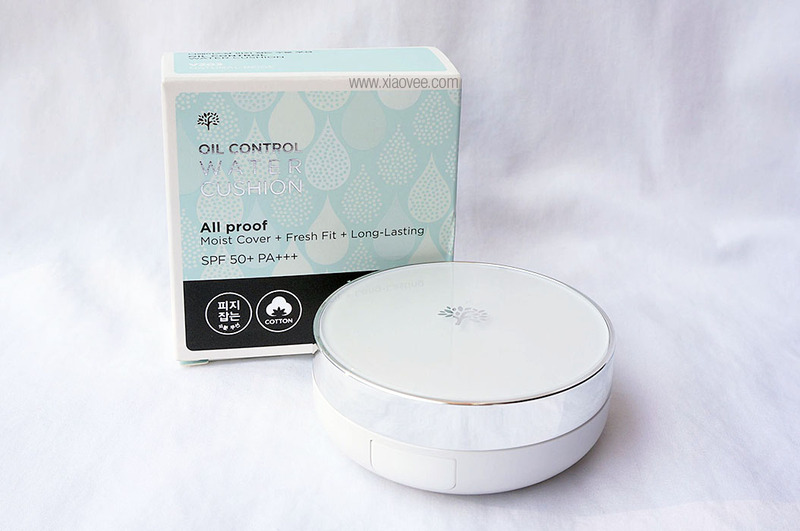 Moist-cover effect promotes a healthy look while covering up imperfections and pigmentation. Sebum control formula helps keep makeup shine-free. 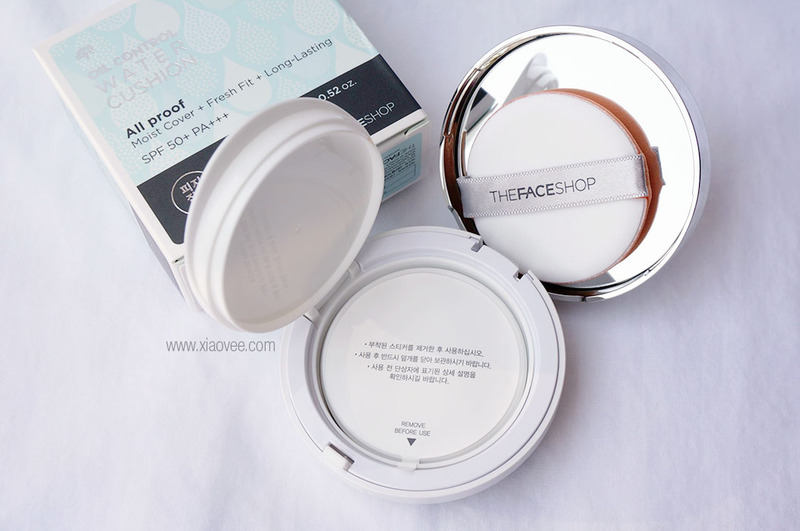 Sweat proof effect keeps makeup in perfect condition for hours. New Microfoam keeps makeup feel as fresh as when it is first applied. Microfoam cushion with cells that are 4 times denser than conventional cushion compacts help protect the formula active ingredients fresh. It also helps makeup go on evenly for more meticulous application and coverage. 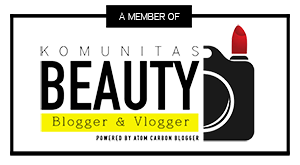 Deskripsi Produk // Foundation berbentuk cushion ini akan "mengisi" kembali kelembaban kulit dan mengontrol sebum untuk kesegaran yang tahan lama. 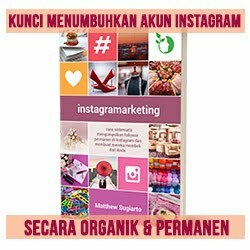 Fitur Moist-cover effect nya menciptakan efek sehat juga menutup ketidaksempurnaan dan pigmentasi kulit. 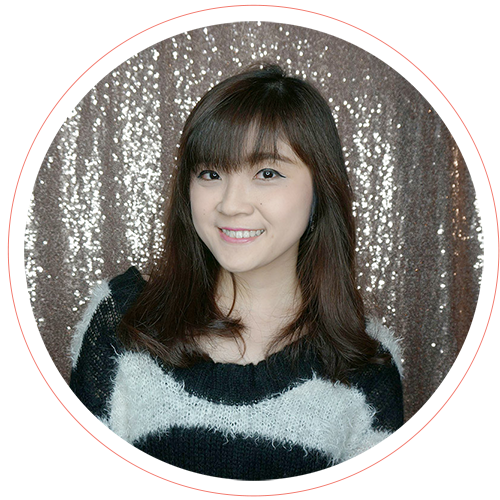 Formula pengontrol sebumnya membuat hasil riasan tidak mengkilap. Efek tahan keringatnya membuat hasil riasan tetap kelihatan sempurna selama berjam-jam. Teknologi Microfoam membuat hasil riasan terasa sama segarnya seperti pertama kali diaplikasikan. Microfoam cushionnya punya sel-sel yang 4 kali lebih padat dibandingkan cushion konvensional lain, yang membuat formula aktif foundationnya akan jadi lebih fresh. *Jangan lupa ditutup rapat setelah digunakan untuk menjaga kesegaran formulanya. Cara pakai // tekan-tekan spons aplikatornya ke dalam bantalan foundation dan tepuk-tepuk ringan ke wajah. Aplikasikan ke daerah-daerah yang lebih membutuhkan banyak pulasan. Ganti cushion dengan refill kalau sudah habis. 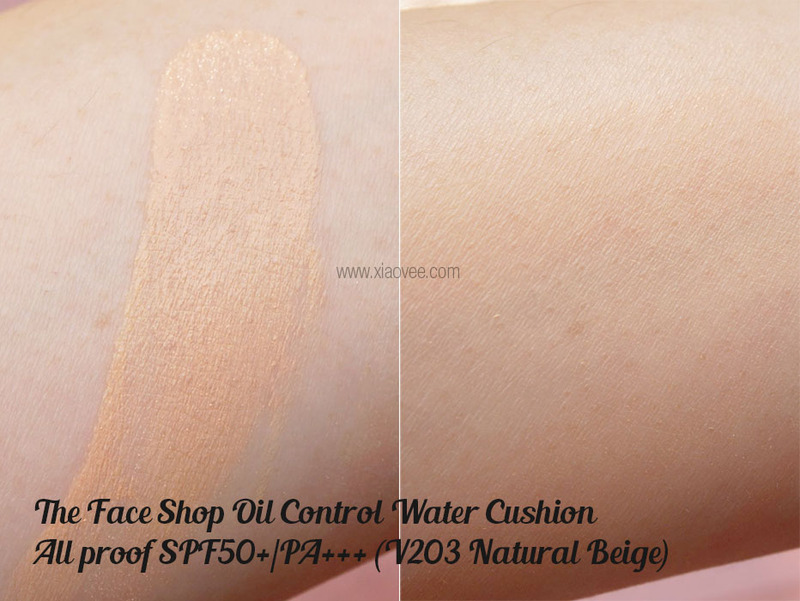 I believe this foundation cushion will suits to anyone with yellow under-tone skin. It blends nicely on my face pretty well. 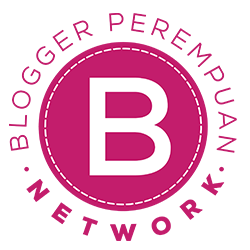 Unfortunately, though it's a foundation; it doesn't provide much coverage. As you can see on the next photo. 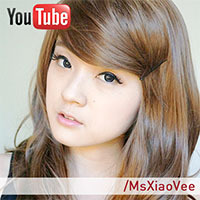 I compare my before-after photos so you can see the difference. As you can see.. 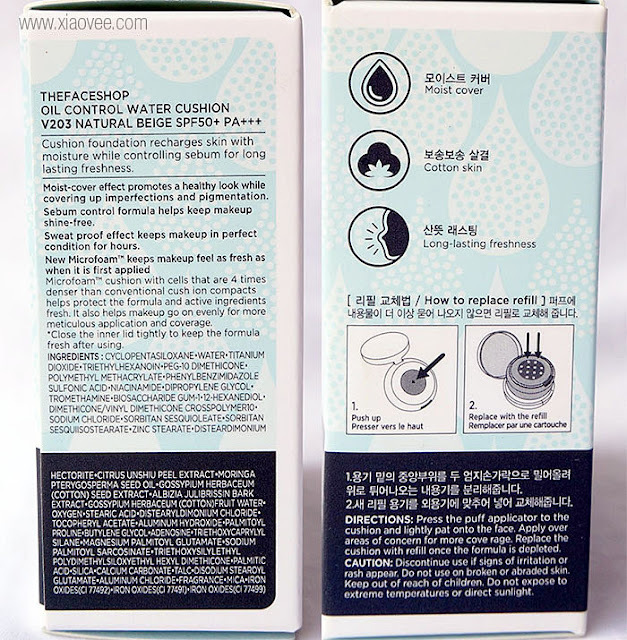 This foundation cushion gives me healthy matte finish ^.^ Though it claims sweat-proof, I don't really fell the same, because it's proven my makeup melts easier in humid weather. I notice the makeup could last for around 6-7 hours in air-conditioned room and only can last for around 4 hours in humid weather. Despite of its longevity, overall I quite like this product :) I love smooth effect on my skin and my t-zone become less oily! 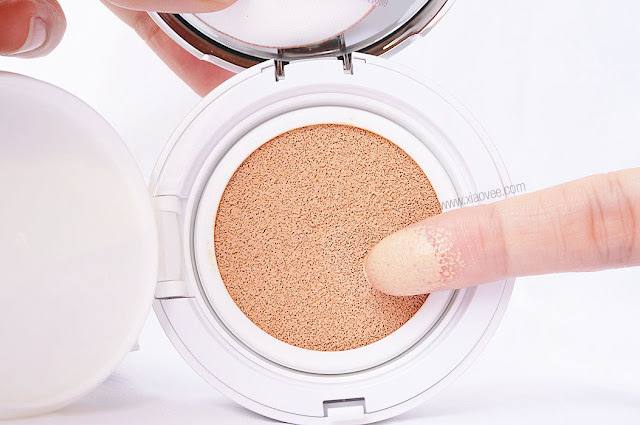 Kesimpulan akhir // Seperti yang bisa kalian lihat.. cushion foundation ini memberikan efek matte yang sehat di kulitku ^.^ Meskipun diklaim sweat-proof, ternyata masih kalah kalau dibandingkan dengan cuaca panas di Indonesia. Aku perhatiin OCWC ini bisa tahan sampe 6-7 jam di dalam ruangan ber AC dan hanya bisa tahan 4 jam di cuaca panas dan terik. Tapi secara keseluruhan aku lumayan suka produk ini :) Aku suka dengan hasilnya yang halus dan t-zone ku juga jadi ngga cepat minyakan. Is it worth the price? Do you like it? Thanks for reading and see ya! My favourite cushions are from Innisfree! Have you tried them out? It looks amazing on your skin! I haven't tried a bb cushion that has slowed down my oil :< I have a few to try out still that I purchased. I don't think this will work for me though since South Texas is incredibly humid, but thanks for the review!